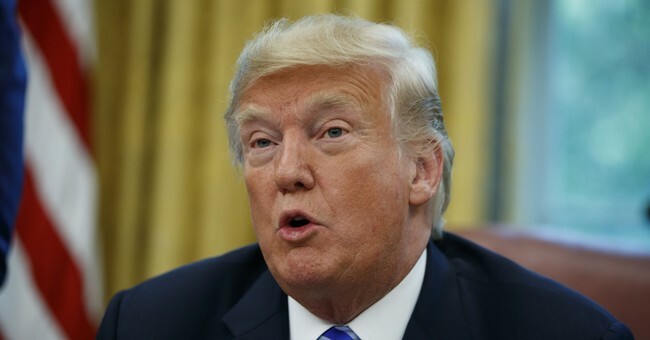 President Trump on Wednesday said if the Department of Justice and Federal Bureau of Investigation do not look into China hacking Hillary Clinton’s emails their credibility will take a significant blow. “Hillary Clinton’s Emails, many of which are Classified Information, got hacked by China. Next move better be by the FBI & DOJ or, after all of their other missteps (Comey, McCabe, Strzok, Page, Ohr, FISA, Dirty Dossier etc. ), their credibility will be forever gone!” he tweeted. The president’s tweet comes one day after a Daily Caller report about how Clinton’s private email server was hacked by a Chinese company, which served as a front for the Chinese government and forwarded every email to them in real time. China has denied the allegations in the report, telling Reuters, it "firmly oppose[s]" cyberattacks. “This isn’t the first time we’ve heard similar kinds of allegations,” Chinese Foreign Ministry spokeswoman Hua Chunying said at a news briefing in Beijing. “China is a staunch defender of cybersecurity. We firmly oppose and crack down on any forms of internet attacks and the stealing of secrets,” she added.